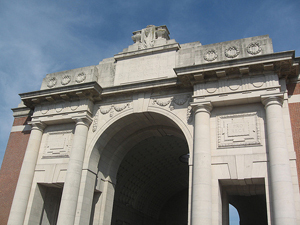 21 students took the opportunity to visit the battlefields of the First World War in Belgium and France. Our guide, renowned for his expertise having read about 3,000 books on the war and written several put together an itinerary which reflected the international mix of our group. Staying in the beautiful medieval town of Ypres in Belgium, the students enjoyed Belgian chocolate and ice-creams on the square – a delicious beginning to an extensive set of extra-curricular activities for school students. However, the impressive Menin Gate memorial to the missing was a constant reminder of the devastation inflicted on the men who fought here in the First World War. The group visited the incredible modern museums which strive to bring to life the underground war and the conditions the soldiers lived in. However the Hill 62 trenches really allowed the students to get their feet wet, walking along the original trenches and tunnels. The memorials and cemeteries scattered all over the area served to show the scale of the losses from all over the world. The visit to the execution post in Poperinge gave food for thought, as did the headstone of 15-year-old Valentine Studwick. 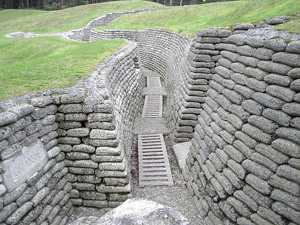 In France, the trip to Vimy Ridge tunnel and Canadian memorial impressed, whilst the trenches of Newfoundlands and Thiepval wood helped the group understand why the first day of the Battle of the Somme was the blackest day in British military history. The international feel for the war was highlighted by visiting British, French and German cemeteries, the grave of native American Joseph Standing Buffalo – grandson of Chief Sitting Bull who died with the Canadians – and also Ayette Indian and Chinese Cemetery. The third day was spent relaxing in Bruges, the Venice of the North. A river boat tour was followed by fantastic local food.